Irish Novellist John Connolly was born 31 May 1960. He is best known for his series of novels starring private detective Charlie Parker. Connolly graduated with a BA in English from Trinity College, Dublin, and an M.A. in journalism from Dublin City University. Before becoming a full-time novelist, he worked as a journalist, a barman, a local government official, a waiter and a gofer at Harrods department store in London. After five years as a freelance journalist for The Irish Times newspaper, he became frustrated with the profession, and began to write his first novel, Every Dead Thing, in his spare time. This novel introduced Charlie Parker, a former police officer hunting the killer of his wife and daughter. The book was met with critical acclaim; it was nominated for the Bram Stoker Award for Best First Novel and went on to win the 2000 Shamus Award for Best First Private Eye Novel. (Connolly is the first author outside of the US to have won the award. 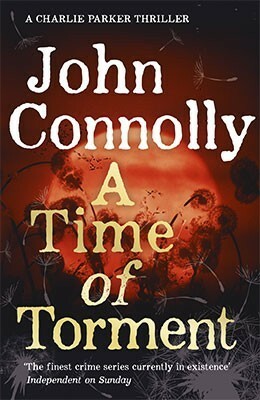 Connolly has since written further books in the popular Parker series and a non-Parker thriller, as well as venturing outside of the crime genre with the publication of first, an anthology of ghost stories and later, a novel about a young boy’s coming-of-age journey through a fantasy realm during World War II England. Film and television adaptations of his works are currently in development; the earliest to appear to audiences was partially based on the short story “The New Daughter”, and starred Kevin Costner and Ivana Baquero. Connolly tours regularly to promote the launch of his books. In 2007, he made book store appearances in Ireland, United Kingdom, United States, Australia, New Zealand, Hong Kong and Taiwan to promote The Unquiet. The seventh book in the Charlie Parker series, The Reapers, was published in 2008. It differs from the earlier books in that the story is told from the point of view of Parker’s close friends and allies in combat, Louis and Angel. Louis and Angel are an unlikely couple, Louis is an enigimatic, large black man who was a hired killer but who now seems to be in semiretirement; Angel is a small white man and ex-burglar. They appear when Parker is in need of help and professional protection from his enemies. The ninth Parker novel, titled The Whisperers, was published in 2010; the tenth, The Burning Soul, in 2011. The Wrath of Angels, the eleventh Charlie Parker novel, was published in 2012. 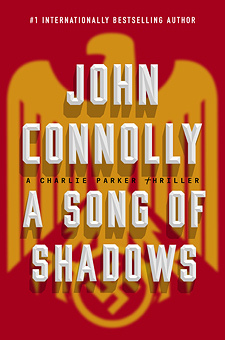 The twelfth Charlie Parker novel, A song of Shadows was published 2015. Connolly also writes for younger readers, his first novel The Gates was published in2009. Jells Bells, the sequel was published in 2011 as The Infernals in the US. The third book in the Samuel Johnson series, The Creeps, was published in 2013. In 2013 he also published Conquest, the first in a projected four-book fantasy series for teenaged readers by Connolly and Jennifer Ridyard. Connolly also collaborated with fellow Irish author Declan Burke to edit Books to Die For: The World’s Greatest Mystery Writers on the World’s Greatest Mystery Novels, a nonfiction anthology published in 2012. Books to Die For was also nominated for an Edgar Award by the Mystery Writers of America, it won the Agatha Award for Best Non-fiction,and the Anthony Award for Best Critical Nonfiction Work.